Trump's ex-lawyer sat down with ABC News for an exclusive interview. Donald Trump directed Michael Cohen to arrange hush-money payments with two women because then-candidate Trump “was very concerned about how this would affect the election” if their allegations of affairs became public, the president’s former personal attorney said in an exclusive interview with ABC News. 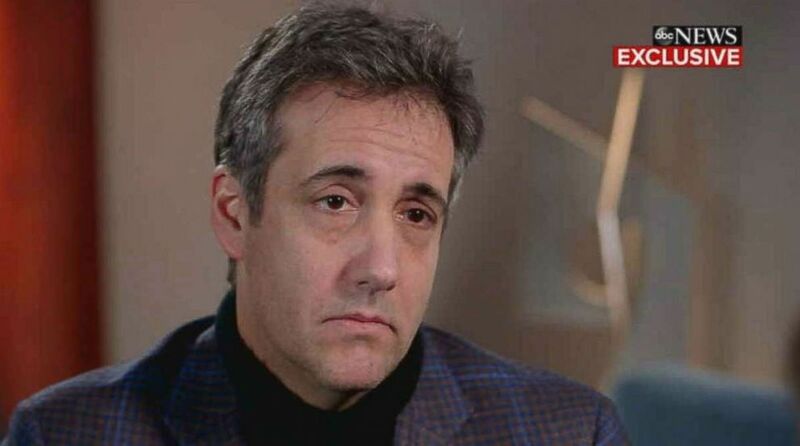 Cohen’s comments are his first since being sentenced earlier this week to three years in federal prison for financial crimes, lying to Congress and two campaign finance violations in connection with the deals with the women, Karen McDougal and Stormy Daniels, who claim past affairs with Trump. 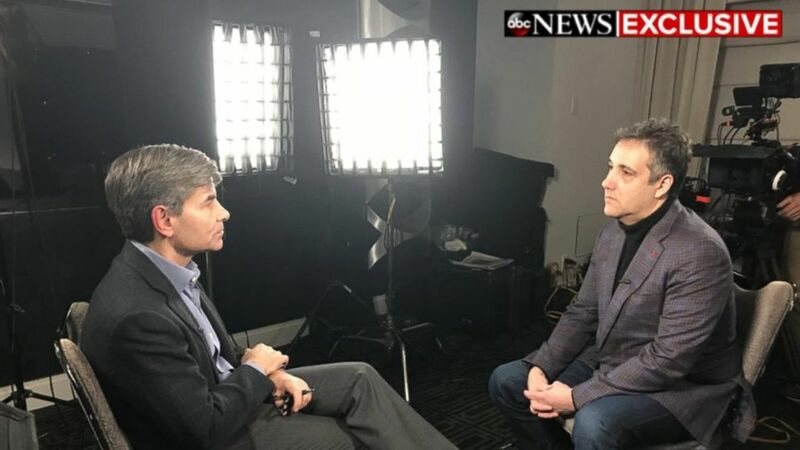 (ABC News) Michael Cohen sits down for an interview with ABC News Chief Anchor George Stephanopoulos on "Good Morning America," Friday, Dec. 14, 2018. Cohen said he is “angry at himself” for his role in the deals, but that he did it out of “blind loyalty” to Trump. “I gave loyalty to someone who, truthfully, does not deserve loyalty,” he said. Trump's former attorney told ABC News in an exclusive interview that he thinks "the pressure of the job is much more" than what the president thought it was going to be. Federal prosecutors in the Southern District of New York have implicated, but not charged, the president in the deals reached in the closing weeks of the 2016 election. They allege that Cohen acted “in coordination with and at the direction of” Trump, according to court filings. Prosecutors also reached a non-prosecution agreement with AMI, the publishers of the National Inquirer, in which the tabloid admitted to making a $150,000 payment to McDougal “in concert” with the Trump campaign. The president has denied allegations of the affairs -- but has had shifting explanations about when he learned about the payments to the women. 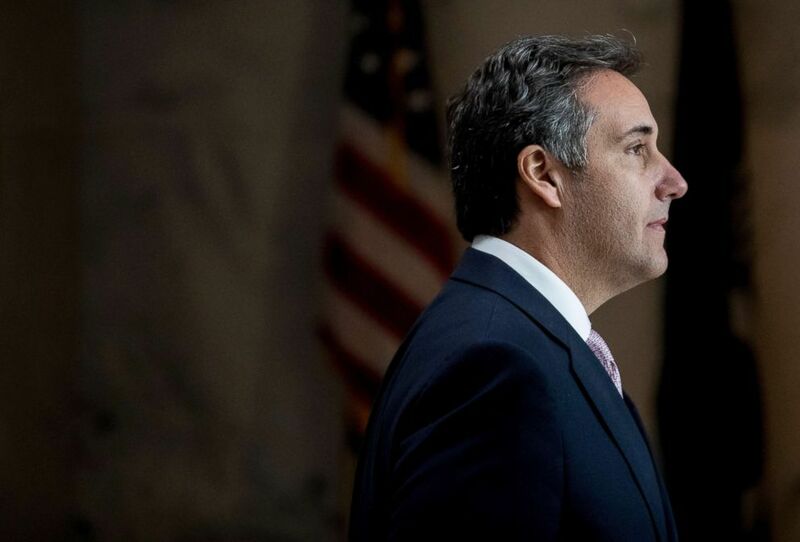 He has also contended that the deals were private and unrelated to the campaign and that if anything illegal occurred, it was Cohen’s responsibility. Cohen was particularly distressed by another Trump tweet on Thursday, in which the president implied that prosecutors investigating Cohen had let his wife and father-in-law off the hook. And Cohen refuted the president’s contention that he never directed Cohen to do anything wrong. (Andrew Harnik/AP, FILE) In this Sept. 19, 2017, file photo, President Donald Trump's lawyer Michael Cohen departs following a closed door meeting with the Senate Intelligence Committee on Capitol Hill in Washington. “I don't think there is anybody that believes that,” Cohen told Stephanopoulos. “First of all, nothing at the Trump organization was ever done unless it was run through Mr. Trump. He directed me to make the payments, he directed me to become involved in these matters. “Why should we believe you now?” Stephanopoulos asked. 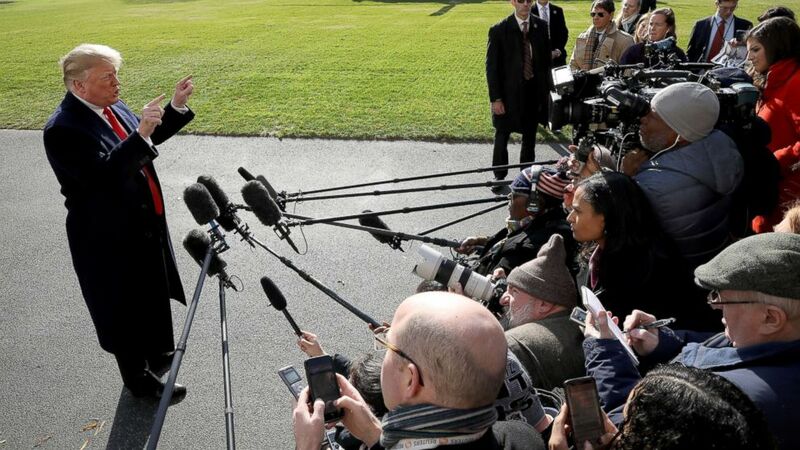 (Win McNamee/Getty Images) President Donald Trump answers questions from the press while departing the White House, Nov. 29, 2018 in Washington. Cohen -- who is due to report to prison on March 6 -- has professed his willingness to continue to answer questions for special counsel Robert Mueller and other federal and state investigators. “I don’t want to jeopardize any of their investigations,” he said. 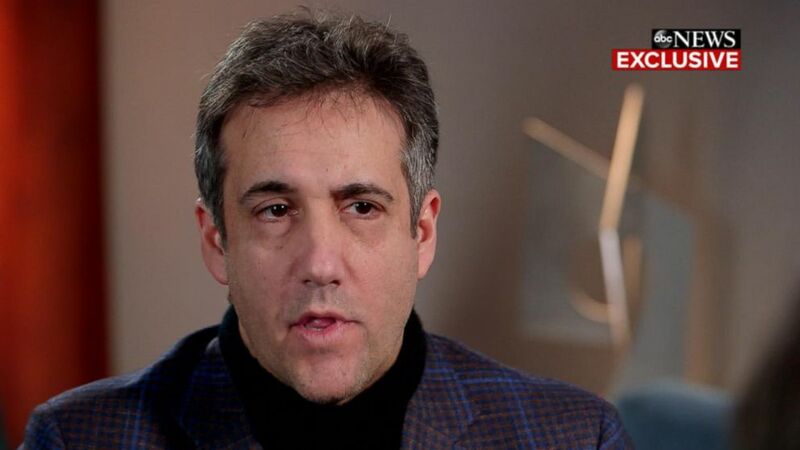 Cohen once said he would “take a bullet” for the president, but now he finds himself opposing the president and facing the prospect of becoming a witness against him. 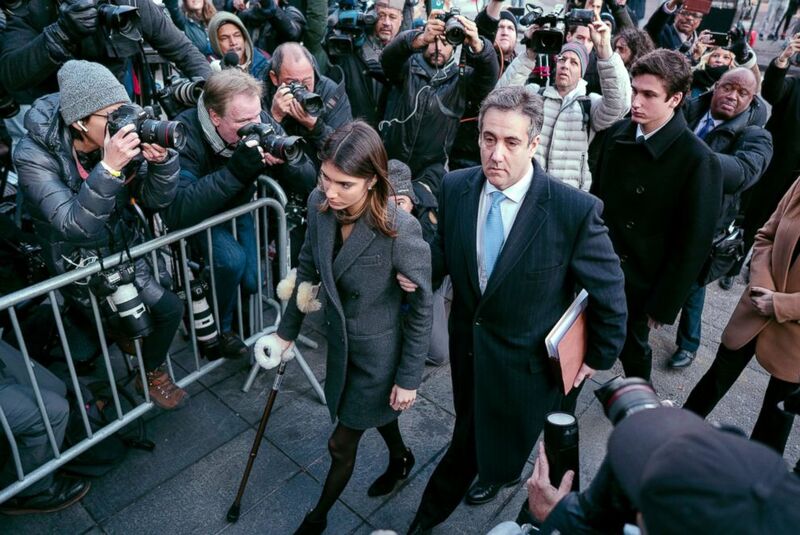 (Craig Ruttle/AP) Michael Cohen, center, President Donald Trump's former lawyer, accompanied by his children Samantha, left, and Jake, right, arrives at federal court for his sentencing in New York, Dec. 12, 2018. Cohen said as he observes Trump’s actions in the White House, he barely recognizes the man he served for more than a decade at the Trump organization. “He’s a very different individual,” Cohen said. “I think the pressure of the job is much more than what he thought it was going to be. It’s not like the Trump organization where he would bark out orders and people would blindly follow what he wanted done. There’s a system here; he doesn’t understand the system and it’s sad because the country has never been more divisive and one of the hopes that I have out of the punishment that I’ve received as well as the cooperation that I have given I will be remembered in history as helping to bring this country back together. “I will not be the villain of his story,” he said.